School psychologists work in the school system to support children and their families while promoting academic excellence. While in the school, the psychologist may meet individually with selected children to perform psychological assessments and, if needed, will work with teachers and families to build an Individualized Education Plan to meet the students personal needs. Being a school psychologists comes with challenges as often they are working directly with children and families living in challenging situations who may need additional social support. The following list of websites offers excellent resources for school psychologists. Often these professionals work independently and require easily accessible resources. These great websites are divided into the following categories: news/research, journals, blogs, associations, conferences, certifications, and helpful tools. As with any professional, school psychologists should belong to professional organizations and subscribe to scholarly publications in order to keep abreast of the current topics and trends in their field. ADHDnews.com This website features numerous articles relating to attention deficit and hyperactivity disorder that can be useful to psychologists and parents alike. National Associations of School Psychologists (NASP) Online Learning Center This online learning center features multiple opportunities for psychologists to earn continuing professional development hours. NASP Research Center This website offers multiple resources for research opportunities in the field of school psychology. NASP Resources This website offers various helpful resources on topics such as cyber bullying and cultural competence. National Institute of Mental Health The National Institute of Mental Health performs clinical research to increase the depth of understanding of mental health issues. PsychCentral PsychCentral is a social networking website managed by mental professionals that offers emotional support and advocacy for individuals affected my mental illness and their family members. PsycPORT: Psychology Newswire This website contains various articles on current issues in the world that can apply to the field of psychology. School Psychologist’s Couch Cristina Green is a school psychologist and the voice behind this all-inclusive website that offers valuable resources to parents and teachers interested in helping students reach their highest potential. ScienceDaily ScienceDaily offers a vast array of news articles on current topics that relate to educational psychology. Child Psychiatry and Human Development This journal features articles on the diagnosis, treatment, and management of clinical mental health disorders in children and adolescents. Clinical Practice in Pediatric Psychology This journal describes in detail the practice of pediatric psychology by relating scientific development to clinical practice. Journal of Applied School Psychology The Journal of Applied School Psychology is committed to advancing school psychology by publishing scholarly articles that may aid in developing school psychology practice. The Journal of General Psychology This international journal is invested in research as it relates to experimental psychology. Journal of School Psychology The Journal of School Psychology contains articles based on observations and experiences relating to behavioral concerns in the school setting. Psychology in the School This peer-reviewed journal contains research and opinion articles which are pertinent to school psychologists and counselors. 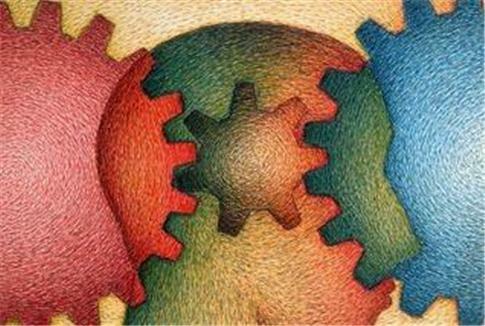 School Psychology Forum This website reaches out to school psychologists by offering the most current and pertinent scholarship. School Psychology Quarterly This journal features empirical articles relating to children in the school setting and issues faced by those who serve them. School Psychology Review School Psychology Review unveils original research findings that relate to the field of school psychology. The School Psychologist The School Psychologist is the official publication of the Division of School Psychology of the APA and speaks directly to concerns faced by school psychologists. ABCs of School Psychology This blog documents the personal educational experiences of a school psychology student both inside and out of the classroom setting. Burgeoning School Psychologist This blog is written by a school psychologist who describes the trial and tribulations of such in a not so serious manner. Elementary School Counseling Marissa Rex operates this blog to share her personal experiences as an elementary school counselor with her peers. Musings of an Urban School Psychologist This blog is written by a Certified School Psychologist as a means to share personal stories and valuable resources with others in the field. Notes from the School Psychologist Dr. Branstetter blogs about her personal experiences as a Clinical Psychologist and Licensed Educational Psychologist in an effort to help other school psychologists on their personal journeys. School Psychologist Files This blog is written by a school psychologist with the intent of educating and supporting parents and teachers involved in special education. School Psychology Blog of Dr. Gaston Weisz Dr. Gaston Weisz utilizes this blog to share articles and podcasts pertaining to special education, child development, and school psychology. World of Psychology World of Psychology features a set of regular contributors and guest bloggers from an array of specialties in psychology. There are typically 2-3 articles published daily, 365 days of the year. American Psychological Association The American Psychological Association is the largest professional organization representing psychologists in the United States. American School Counselor Association This association is dedicated to assisting students to achieve success and lead fulfilling lives by supporting the efforts of school counselors. Association for Psychological Science The Association for Psychological Science is committed to the advancement of scientific psychology to promote improvement in human welfare. International School Psychology Association The International School Psychology Association advocates for school psychologists worldwide to practice to their greatest ability. National Association of School Psychologists The NASP entrusts school psychologists by promoting excellence to advance student learning, behavior, and mental health. Western Psychological Association The Western Psychological Association works to promote the exchange of scientific and professional ideas to advance the field of psychology. American Psychological Association Annual Convention This conference has been taking place annually for over 120 years and offers outstanding speakers and continuing education opportunities. National Association of School Psychologist Annual Convention This well renowned conference is known for inspiring school psychologists by offering them the opportunity to learn tips of the trade from seasoned school psychologists. Society of Pediatric Psychology Annual Conference This conference focuses solely on pediatric psychology and aims to advance the health and well being on children by utilizing an evidence-based approach to practice. Temple University School Psychology Conference This conference, sponsored by Temple University, focuses solely on the educational advancement of school psychologists. Western Psychological Association Annual Conference This long standing annual conference offers psychologists the opportunity to listen to distinguished speakers in the field as well as network with peers. American Academy of School Psychology The American Academy of School Psychology offers board certification to those desiring to be recognized for their excellence and devotion to the specialty. National Association of School Psychologists This websites details the steps necessary to become a Nationally Certified School Psychologist. National Association of School Psychologists: State School Credentialing Requirements This website contains links to each state and their individual credentialing requirements. Educational Testing Service The Educational Testing Service offers the Praxis Series tests utilized to measure the knowledge and skills of school psychologists seeking certification. Kids Health: IEPs This website helps parents and family members understand Individualized Education Plans (IEPs). National Professional Resources National Professional Resources is an excellent source for professional development resources for administrators, teachers, counselors, and school psychologists. Psychiatry and Drug References This website contains a complete list of references pertaining to mental health medications. Research Based Intervention Resources This website offers various intervention based resources for students in kindergarten through 12th grade. School Psychology This website, a valuable resource to parents, teachers, and psychologists, contains information pertaining to assessment, mental health services, interventions, and behavior management. School Psychology Tools School Psychology Tools is a useful app available on Apple and Android devices that offers the most requested references in one handy app. The School Psychologists Survival Guide This resource is frequently referenced among school psychologists and is described as a ‘must have’ resource. For more information about school psychologists, see How do Guidance Counselors and School Psychologists differ?